Greetings Pilots! It's been a while, and I do apologize for that, but we think it will have been worth the wait. With this update, we finally have the foundations in place for the sprint to release. With a new awards system, the backbone for future SP and CO-OP content, major backend changes and code updates, a lot of fixes and more. Pilots, just a quick note that Heliborne is operating using a new Data Layer with this update. Unfortunately this has also caused several issues with some of our Azure based servers. What this means, is that we are prepairing a new server pack for you to play on, that should help with performance and connection issues. However, there's one major change here, and that revolves around us having to shut down our current SEA server as we look for a better alternative for our SEA players. We're hoping the new data layer and updates to the server backend will give our SEA players a good experience on the EU and US servers until we can get a replacement SEA server operational. Again, this is not a permanent change. 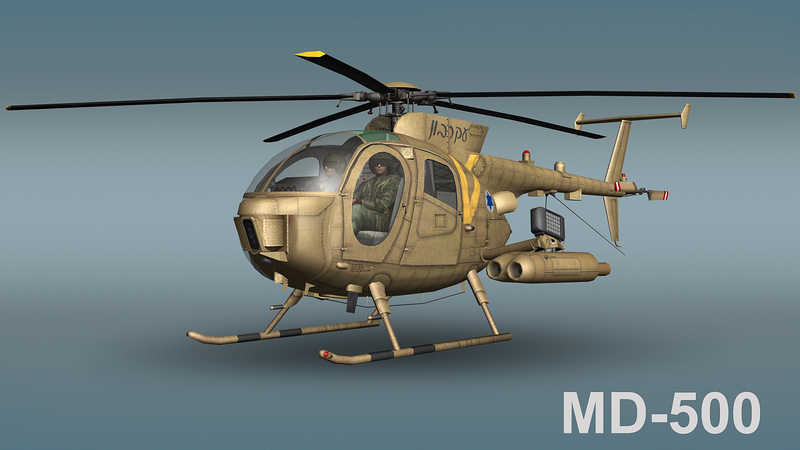 *The MD-500 has been added to the vehicle lineup. This Helicopter has been placed at Tiers 2 and 3. - Personal player profiles have been added. These profiles are shown upon player kill, as well as in the new Career tab. - Rewards for effective actions in combat have been added. There are a total of 28 awards in this update. - Rank progression has been added and is based on rewards gained. - Player awards can be placed in a player's profile. - The first batch of steam cosmetic items has been added, this includes a few helmets and patches. 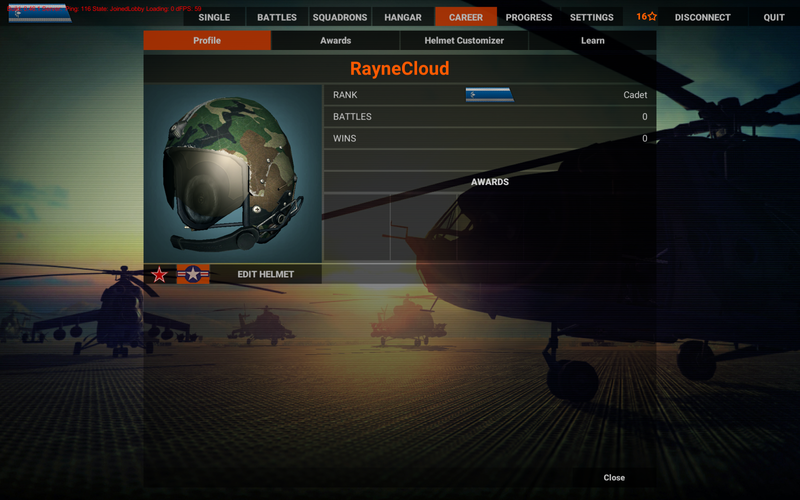 - Helmets can be shown in a player's profile. - Cosmetic items are awarded at the end of the match. - Fixed precision bug in stationary and moving ground AA guns - they should become much more accurate now. - "enemy lock" has been added, a locked enemy is marked with ">" "<" symbols and his nickname is always shown, a lock looks like this - "> enemy name <"
- Locking on an enemy now assists with gun shooting - this is nothing heavy, just a small aim assist that help with adjusting aim distance to that enemy - it should be easier to shoot at locked enemies than an enemy without lock. - All spawn positions now have a defensive "force field" around them, approximately 300 meters in radius, you are safe from enemy damage inside these areas. - MANPAD operational procedure changed: their range changed from 600 meters distance to 400m min and 1200m max distance, but targeting on distances bigger than 400m now depends on both helicopter actual altitude above the ground and helicopter size. So if you don't want MANPAD’s to shoot at you from longer distances stay closer to the ground. - Helicopter spotting profile is now increased if helicopter is static for several seconds - so you’ll be spotted from longer distances if you are hovering are greater altitudes. - Rank requirements for officer ranks (ensign and upwards) slightly adjusted, they cost more than previous. - Negative rewards introduced. Do not kill friendly units, you’ll get negative rewards and will be banned from game room if you are doing it a lot. - Reward for capturing Landing Zone now depends on amount of players in the battle, the more the players present the larger the reward.